A couple of people mentioned yesterday that they were visiting Barcelona soon and asked for some places to see. If you have the time, I recommend taking a day trip to Figueres where you will find Salvador Dali’s museum. It’s a wonderful and crazy place and you won’t soon forget it. Here’s a small example of his work. He designed the museum so it’s like you are in his artwork. This entry was posted in Travel Photos and tagged 50 Year Project, Art, Artwork, Barcelona, Blog, Blogging, Europe, Figueres, Life, Photography, Salvador Dali, Spain, Surrealism, Travel, Travel Journal, Travel Photo. Bookmark the permalink. That looks AWESOME!!!! On the bucket list now! Love the Dali and I go to the St. Petersburg, Florida museum a lot. I know I would love the museum in Figueres! Love his art! I hope you get to see Figueres. You would love all the food in Spain! Thanks for the tip! 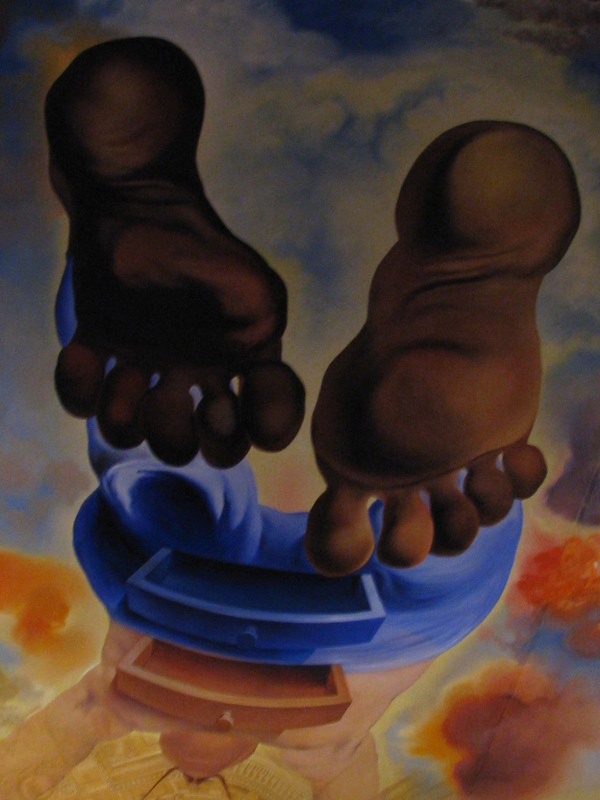 I love Salvador Dali…..
A Salvador Dali museum would be a must for me to visit! I have some of his prints. Thanks for this recommendation. This sounds like an amazing place. if i could get to barcelona-the guadi apartments and park would be my first destination. They are amazing to see. I loved all of the Gaudi architecture. Fun, Fantastical and I must get there next time TBM … surprising how quickly 3 days go when on a City break I find … never long enough ! I know how you feel. Each time I leave a place I’m sad since I never get a chance to see everything. But then I remind myself, that I was there and had fun. We can’t do it all. What an unusual experience. I will have to keep a note of this one. We do intend to visit Barcelona so we should try to make time. It’s a great place to see. Oh! Dali! Barcelona! Haven’t visited this part of Europe yet. I hope you do Myra!